The first thing that comes to your mind when you hear “France” could be their delicious champagne. Or Paris. Or the Eiffel Tower. Or the famous baguette bread. Or croissants. Or the language that seems like an enormous tongue twister. Whatever the case, France is also widely known for its distinct sense of style. If you have ever been anywhere near, you must have felt it. That is why here you can read some tips and tricks on how to add this dash of French style to your home. 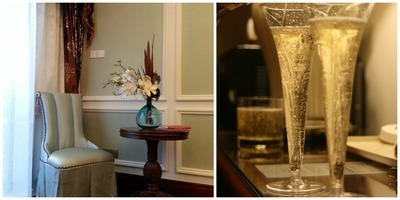 One of the most striking details, although it may go unnoticed for some time because it’s quite neutral, is champagne. In fact, its colour, also known as beige, in combination with gold, wood, yellow, and white. This combination may best suit your living room, so try visiting some antique shops and look for carved furniture, something to remind of the Renaissance period, or Louis XVI. If you have high ceilings, add some opulent drapes in shades of gold, a rich, crystal, oversized chandelier, and close to a fire place a big mirror with an interesting frame, preferably also carved, like some beautifully carved mirrors by Maison De Luxe. Another crucially important space in your home is your bedroom. One of the most important details here is something called boiserie. Basically, it’s a panel of hand-carved wood embellished with carved or moulded details, usually in combination of white and gold, that used to embellish rooms for formal gatherings in the past, especially in times when monarchs ruled the European countries. Nowadays it fits best as a bed headboard. Accompany it with bed sheets of a pattern that matches your walls, preferably in shades of white or beige, a bed lamp, a tabouret and an antique night stand, and drift to the dream land every time you fall asleep and wake up. Another room where families spend a lot of time is kitchen, or dining room. Although it is never appropriate to show off your wealth in front of people, displaying your finest taste in home décor is something you can go for. Especially in the kitchen. To start off, silver cutlery is a must. If you cannot afford it, or consider it too expensive for everyday use, find a solid replacement. 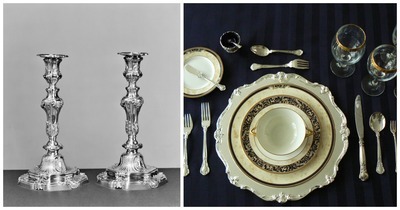 Do not forget candles on the table, as well as a stylish, porcelain service. Combination of refinement and rusticity will give the look you are aiming for, thus find some painted cabinets that have also been aged and distressed to add a sense of timeless pieces like marble or granite block. Which styles to look for? There have been various décor styles throughout history that originated in France. You want only the stylish ones, not the exaggerated “Moulin Rouge”. Rococo, Baroque and Neo-classical is what you should go for. Remember that it is details that count: neutral colours, beige, mint, and creams, accompanied by opulent velvet and satin fabrics, carved furniture and glamorous furnishings.